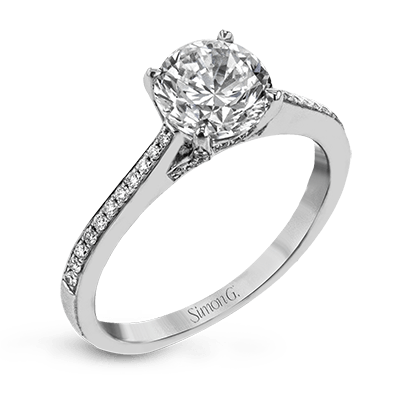 The sleek curvature of a pear-shaped gemstone brings both a feminine and sophisticated appeal to the design of any engagement ring. 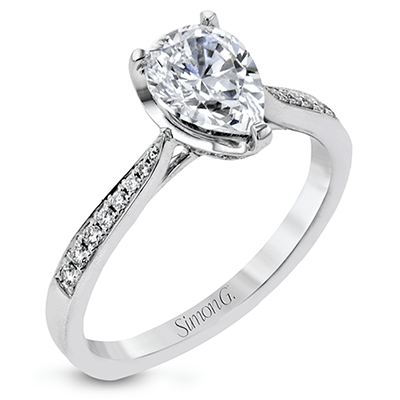 Marrying the luminous beauty of the round brilliant diamond with more of a unique teardrop shape, the pear-shaped center stone delicately strikes a seamless balance between traditional aesthetics and contemporary sophistication. 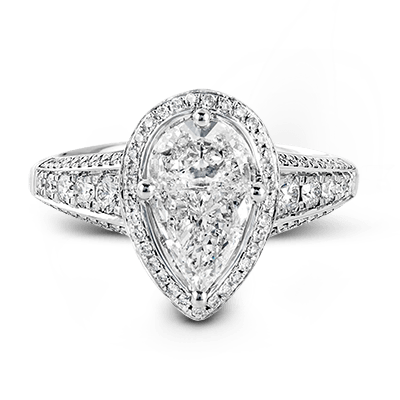 Our pear engagement rings are the height of chic, providing a wealth of choices to dazzle your affianced. 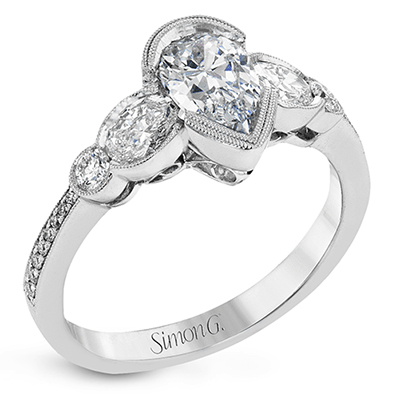 This stunning assortment includes numerous pieces that will set the tone for your happy union and adventure in love. 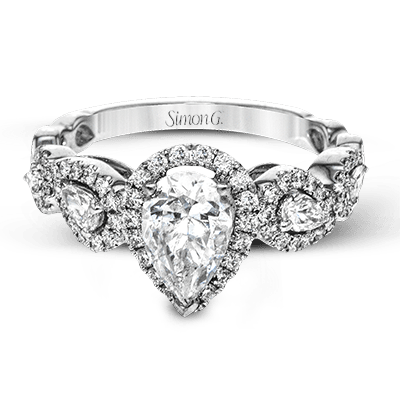 Our vast selection of pear engagement rings features a number of opulent options that might make it difficult for you to choose. 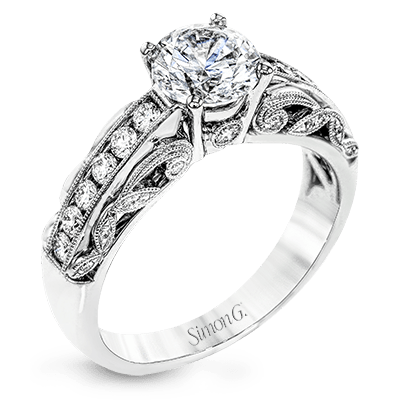 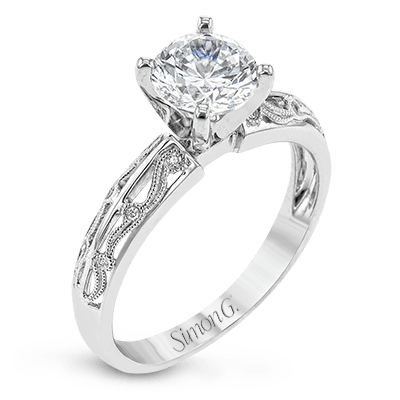 We offer several halo designs that maximize the timeless teardrop shape of the exquisite central stone. 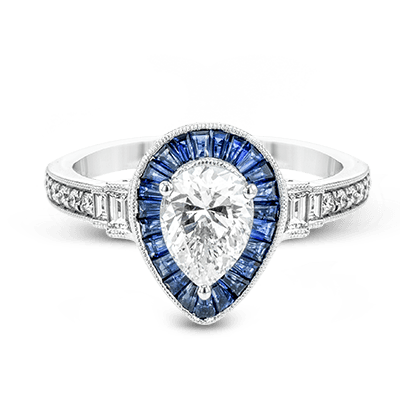 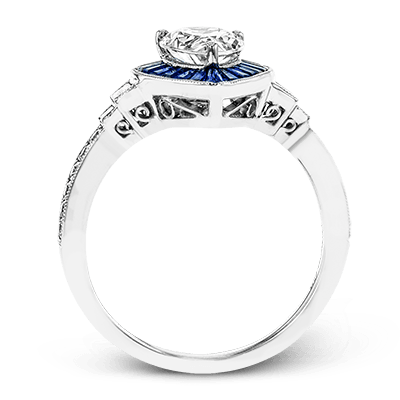 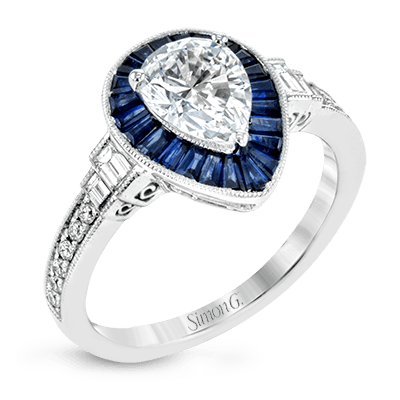 One of the boldest engagement rings in our collection masterfully displays .82 carats of brilliantly blue baguette sapphires that delicately encircle the pear-shaped diamond. 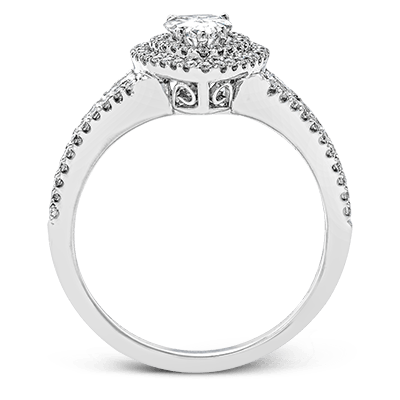 The rest of the ring sparkles with a sleek row of round and baguette white diamonds. 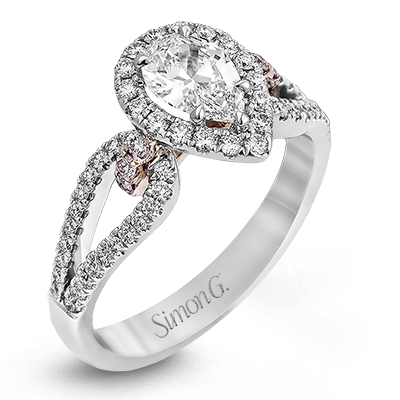 Another exciting option marries white and rose gold to complement the split-shank band containing a graceful loop of both round-cut white and pink diamonds. 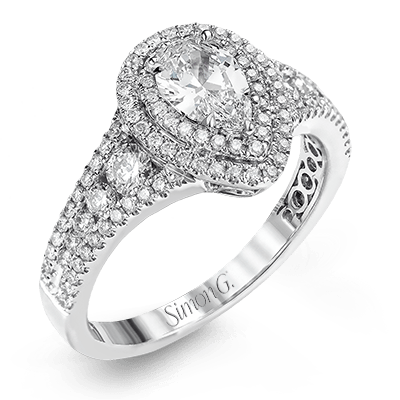 If your bride-to-be values the beauty of simplicity, she may fall madly in love with one of our more understated yet still dazzling designs. 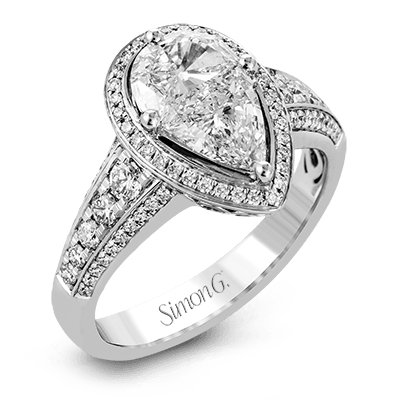 One contemporary ring incorporates intricate milgrain detail to dramatize the center pear-shaped stone and oval-shaped side diamonds to create an appealing mosaic. 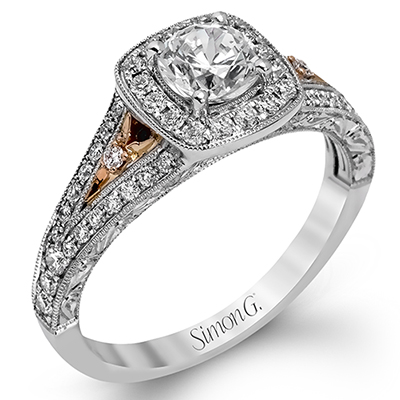 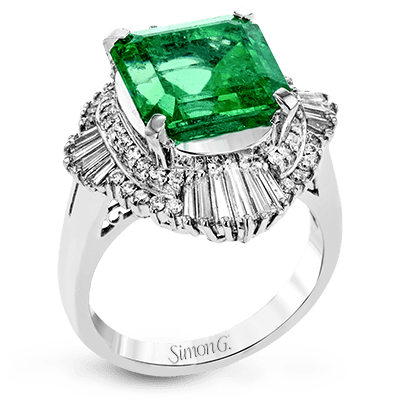 Another eye-catching option is the criss-cross band, which artfully accentuates the pear-shaped gemstone as its centerpiece and intensifies the ring’s sparkle with an interlaced shank filled with bezel-set side stones. 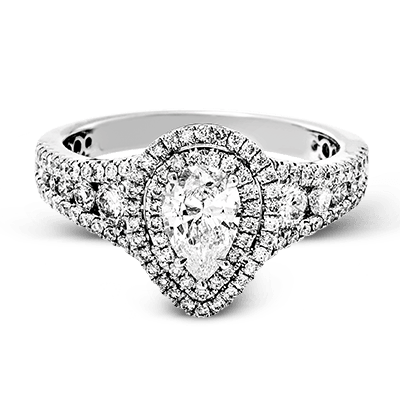 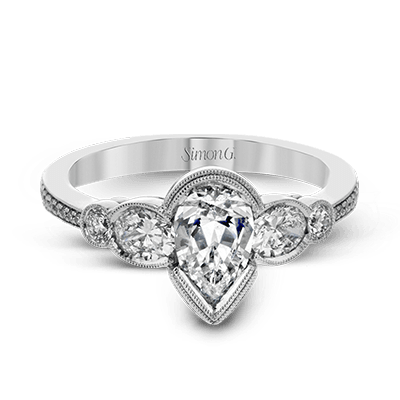 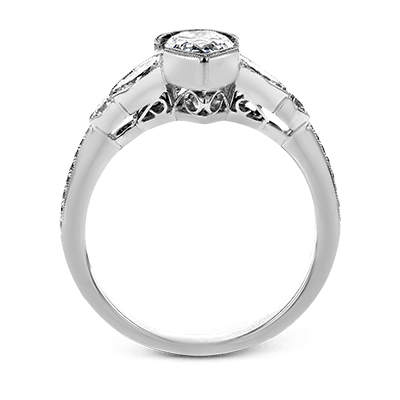 Depending on the style you desire, you may just find the perfect piece for your incomparable partner in our vast selection of pear engagement rings. 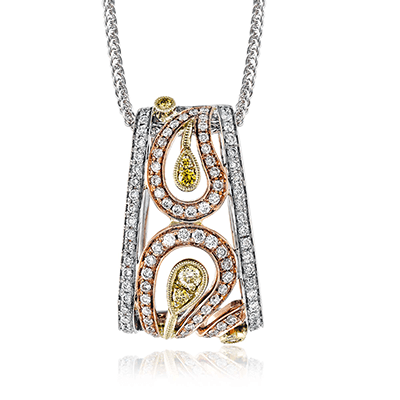 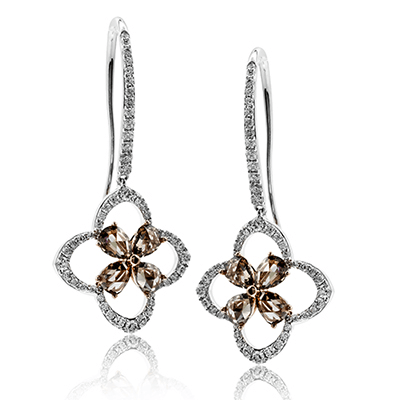 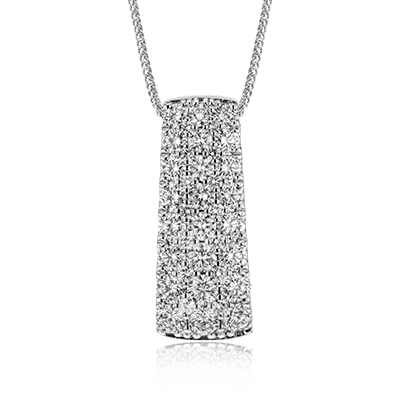 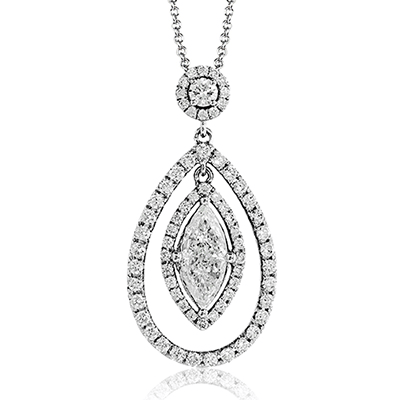 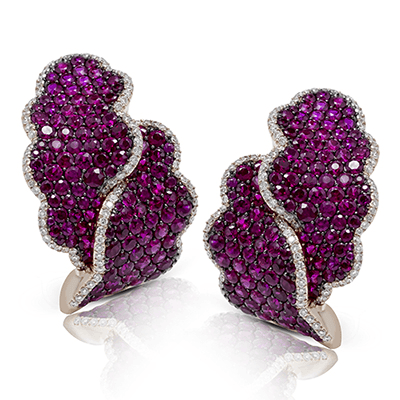 Pear-shaped stones look undeniably breathtaking upon a variety of metals, such as white gold, rose gold, and platinum. 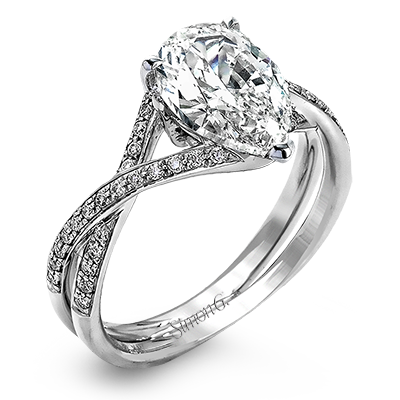 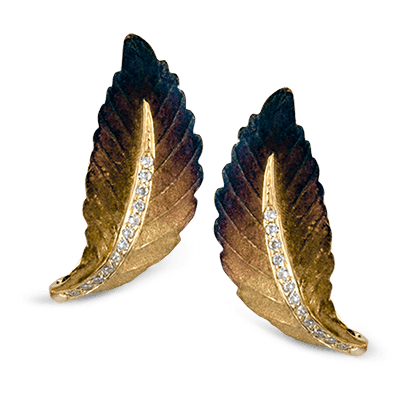 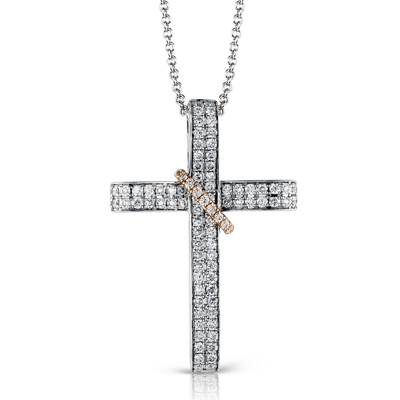 You can visit one of our carefully selected fine jewelry retail partners to see our offerings in person. 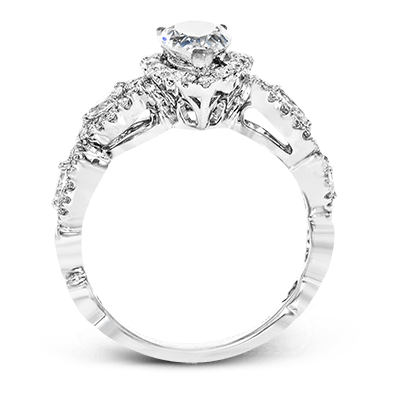 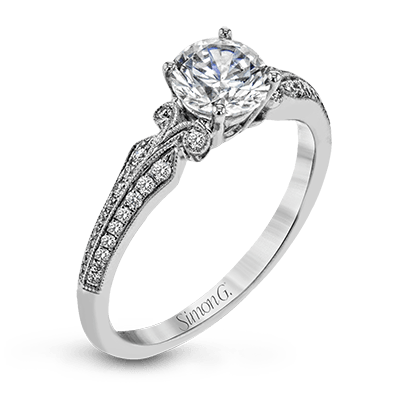 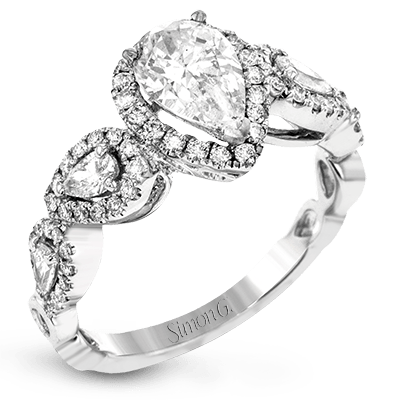 We can also help you design a one-of-a-kind engagement ring that is just as unique as your love story. 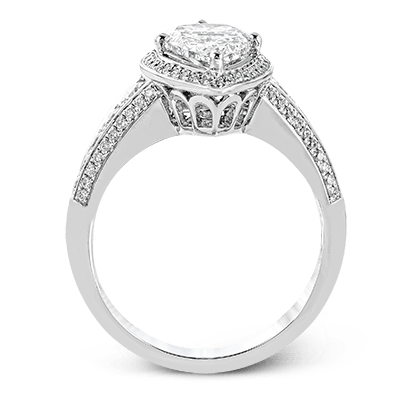 Please contact us today with any questions or concerns you may have.